150mm (6″) Flue collar complete with fitted new style damper. 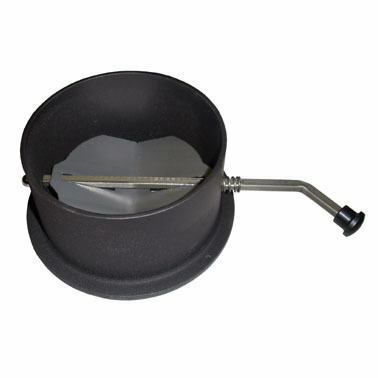 Over all size including handle 300mm (12″). Old style no longer available.